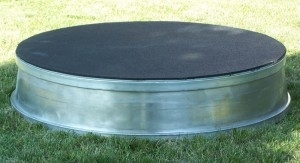 Economical basic aluminum horse pedestal ships free in 48 states! 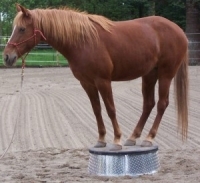 This is the most economical of our aluminum horse pedestals. It has the same sturdy construction as the other models without the diamond plate sides. Comes with a rubber mat attached to the top for traction. 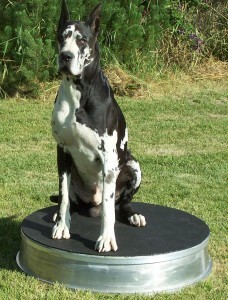 This Horse Pedestal measures 36″ across the top and stands 8″ tall, weight is just over 40 lbs.